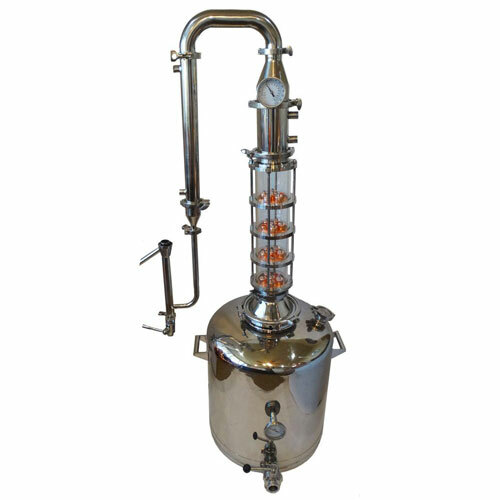 26 Gallon with 4 inch diameter glass column moonshine still with 4 copper bubble cap plates. 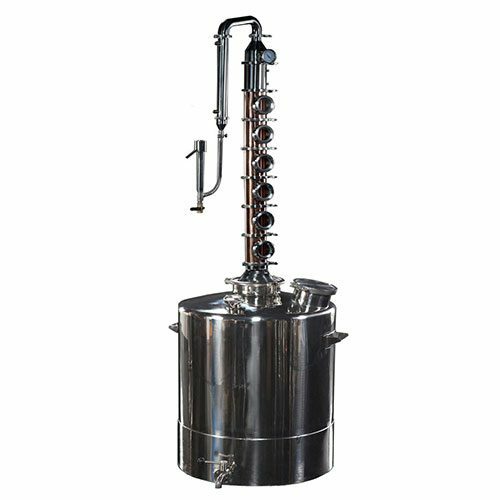 This still allows 360 degree viewing of the distillation process through the column. 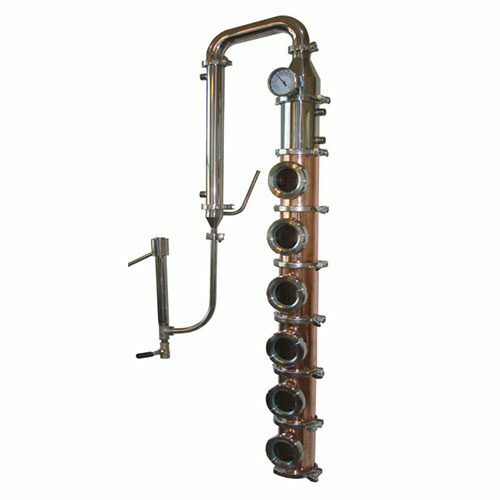 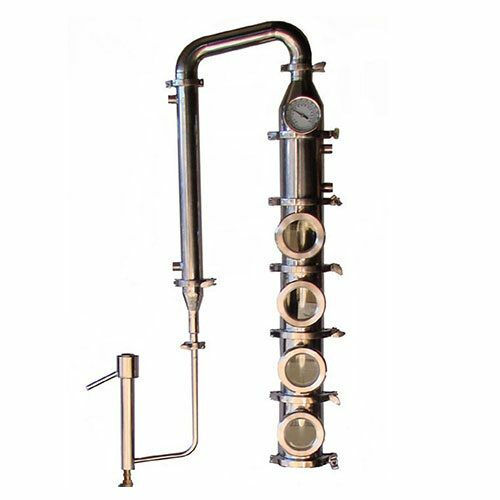 The column includes 4 of the copper bubble cap plates, 3″ stainless dial thermometer at the top of column, 2″ diameter shotgun condenser final product condenser and inline parrot to float an alcohol meter and give the operator real time alcohol percentage proof reading. 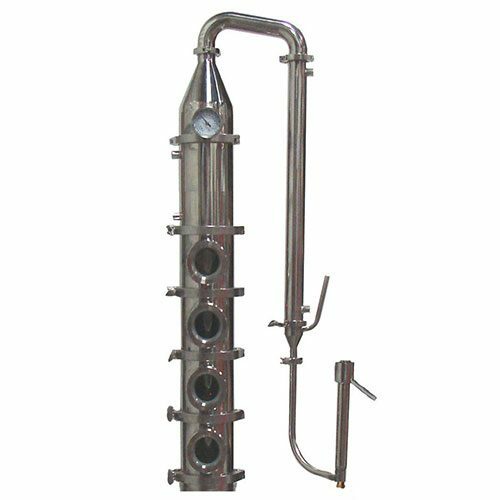 26 Gallon boiler has 2″ fill port, 1/2″ coupling for thermometer, two of the 2″ tri-clamp fittings for heating elements and butterfly drain valve.